The first West Midlands mayor should take control of local rail services so that they can bring back Birmingham’s Camp Hill line, according to one of the candidates for the job. Andy Street, Conservative candidate in May’s mayoral election, set out plans to bring back local services linking Moseley and Kings Heath to the city centre. He said the new West Midlands Mayor should oversee the improvements, and this meant taking control of local services currently run by London Midland. Transport is set to be a key issue in elections on May 4 and Sion Simon, the Labour candidate, is calling for the mayor to take control of the M6 Toll road, allowing it to become free for motorists to use. The Department for Transport has already said it is willing to consider allowing the mayor or the West Midlands Combined Authority, which the mayor will chair, to take control of the local services run by London Midland. These include services to stations in Walsall, Wolverhampton and the rest of the Black Country, as well as the wider West Midlands including Lichfield, Shrewsbury, Redditch and Worcester, Stratford and Coventry. Long distance services, running between the West Midlands, Liverpool and London Euston, would be split off into a separate franchise and continue to be overseen by central government. The Government has also said it is will consider bringing back much-missed local train services such as Birmingham’s Camp Hill line, which links Moseley, Kings Heath, Kings Norton and the city centre. 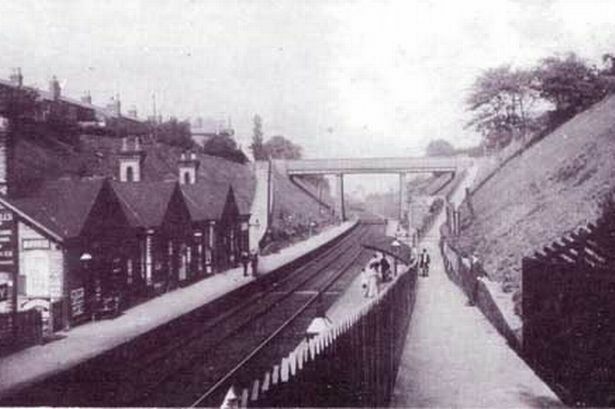 Reviving the service could also mean re-opening Moseley train station, and possibly other stations. Mr Street said it was vital that local rail services are managed in the West Midlands, rather than by the Department for Transport. He said: “The key to achieving the rail services our economy requires – with better, faster and more reliable trains – is having local power and accountability. “We are all acutely aware of the challenges we face with our rail services – but this is largely a consequence of the success of the railways locally. “Over the last 20 years, the number of people travelling by rail each day in the West Midlands has trebled. “More people arrive by train in Birmingham every day than any other city outside London – almost 125,000 – with four out of five of these starting or ending in the area that will be covered by the Mayor. “I have already committed to the reopening of the passenger line to Moseley and Kings Heath, and north to Castle Vale, in addition to the expansion of the Midland Metro to Brierley Hill and UK Central. The service is commonly known as London Midland after the business that currently runs it, but officially it is called the West Midlands Franchise. The current contract is due to expire in October 2017 and two firms are bidding to run the service after that. They include London and West Midlands Railway Ltd, a subsidiary of transport firm Govia which owns London Midland, the current operator. The other bidder is West Midlands trains Ltd, which is owned by Dutch firm Abellio and Japanese firms East Japan Railway Company and Mitsui & Co.
Whoever gets the contract will run the franchise until March 2026. In practice, giving control to a West Midlands Mayor would probably mean a private firm continues to run the line. But the mayor would set out the terms of the franchise agreement, oversee the contest to choose a firm to run the line and monitor their performance. Passengers have complained of overcrowding on London Midland services, and rail bosses even urged passengers not to take the train during peak travel times over the Christmas break. The Government says every train on the service currently run by London Midland is to be replaced or refurbished by 2021. It means older trains will have new seats, new lighting and CCTV fitted if it’s not there already.